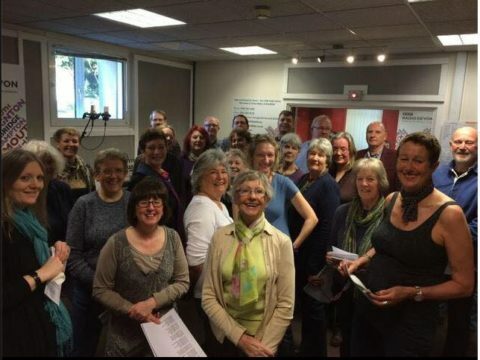 The picture shows us in the Radio Devon studio – we sang live on the radio! We are a friendly, keen community choir, 40-strong, we love to sing and we love to laugh! The choir has been going for 20 years and led by Sarah since 2014. 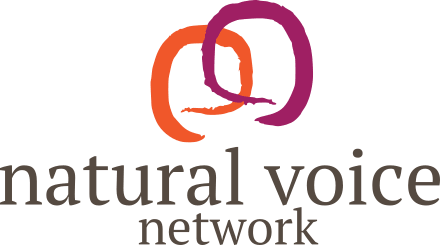 We sing in glorious acappella harmony, a broad range of music, all taught by ear, no experience necessary. We sing for the sheer joy of singing, and occasionally perform. New members are welcome to join at the beginning of a term – come to any of the first 4 sessions for a free taster session. Fees are payable half-termly: £33 for 6 sessions, or £24 concession rate for low income.